The heaviest coal trains were hard work, even for a pair of locos. 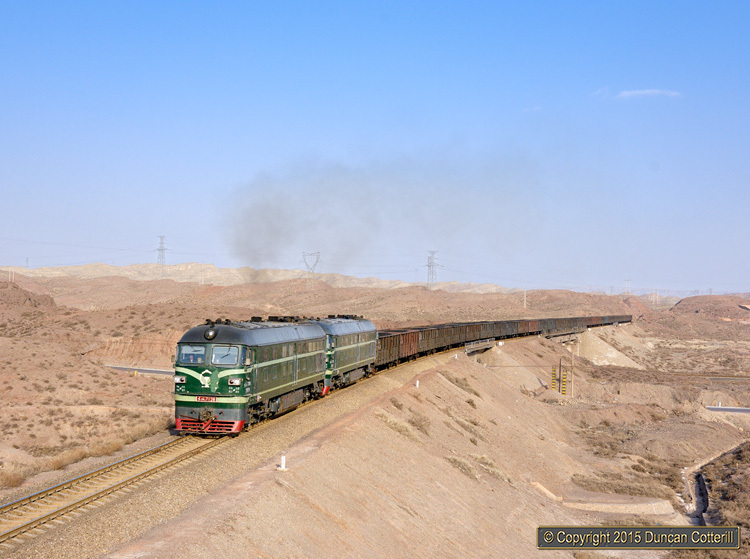 DF4.7138 and DF4.1788 made heavy weather of the climb from the Yellow River valley up to Baiyinxi on 8 March 2009. The longer of the two bridges in the picture carries the line over the Shenbutong branch of the Baiyin Mineral Railway, still steam worked in 2014 and the reason for being in Baiyin.